This size guide should be used to ensure your buying the correct size in a Riders By Lee jean the way we design it. We understand that we all can't be the same shape, size and make so we hope this helps! Fit Me! How To Measure Yourself. 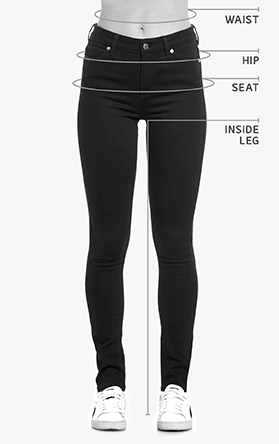 The waist circumference will only be needed if you're purchasing a high waist style like our Hi Rider. To measure correctly stand straight and wrap the tape around the smallest part of your torso. Be firm! For this one, you'll need to wrap the tape across the middle of the hipbone. This will generally be around 20cm from your crotch point. 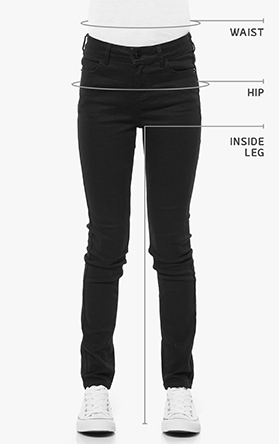 For the gals you will only need this hip measurement if you're considering our mid or low rise (Bumster) jeans! This measurement should be taken at the fullest part around your bum. Remember no bum clenching and keep the tape firm! You will need to wrap the tape across the middle of your hipbone. 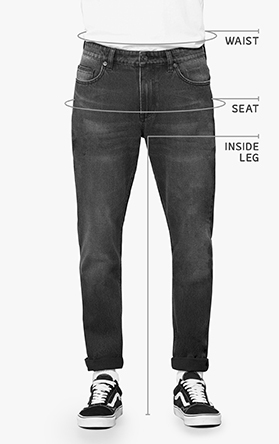 For the guys this will usually be where your jeans sit most comfortably. To measure correctly, stand straight, wrap the tape around and be firm! 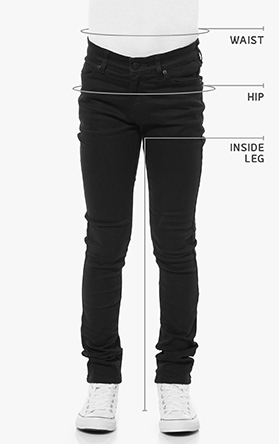 The inside leg measurement should be taken from your crotch point all the way down to your ankle. To measure correctly stand straight and wrap the tape around the smallest part of your torso and be firm! For this one, you'll need to wrap the tape across the middle of the hipbone.